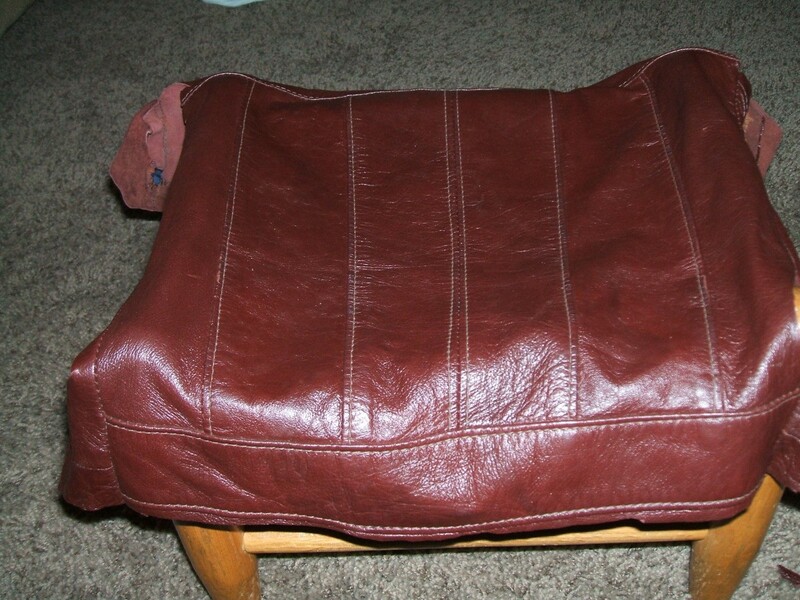 A thriftstore leather jacket can be given new life by using it to recover a footstool. 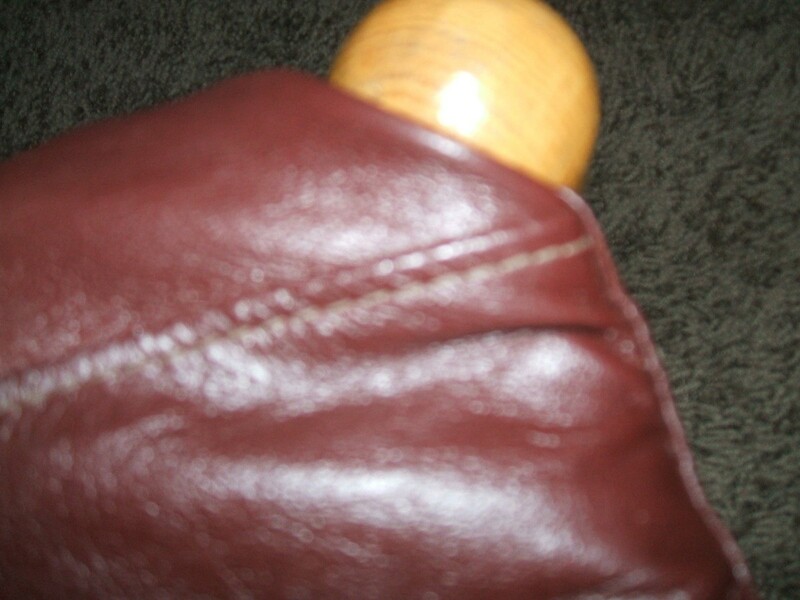 This is a guide about use a leather jacket to cover a worn footstool. I had a woven footstool that was beginning to come apart. Instead of purchasing expensive reed to re-weave it, I decided to cover it with genuine leather from a secondhand coat I purchased for two bucks! 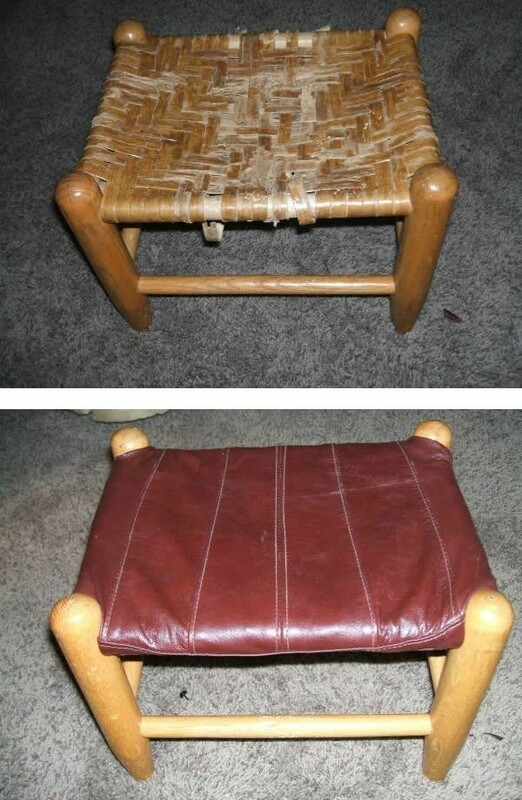 I left the woven part of the stool intact to create stability. The upholstery tacks were 97 cents. Total cost of project - $2.97. First, remove the lining from the jacket. I simply cut it out with scissors. Place the center back of the jacket over the stool to determine how to best cut the jacket. 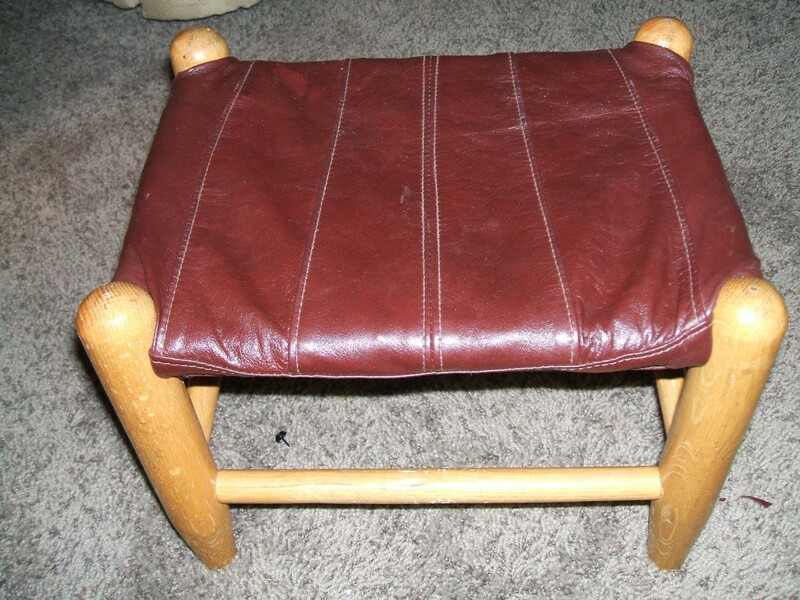 While holding the jacket in place, flip the stool over and cut away the excess from the jacket so you will have a manageable piece of leather to work with. 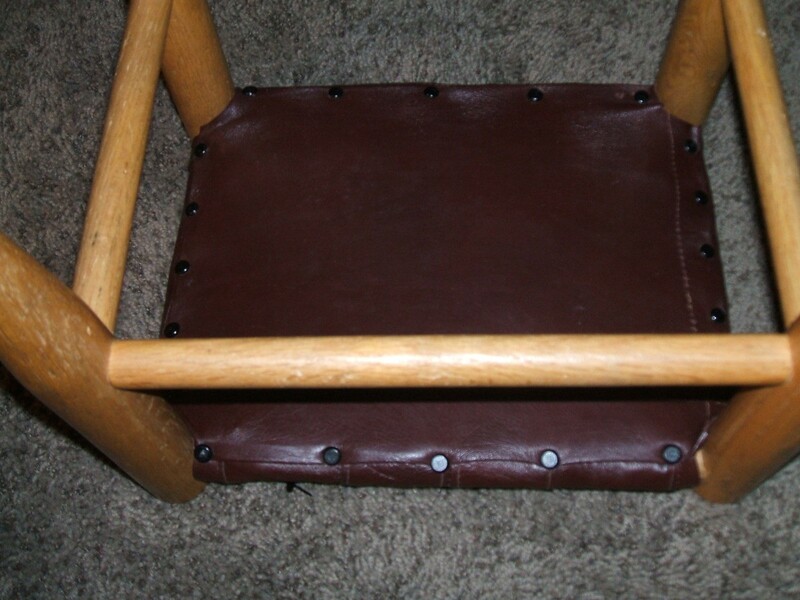 Pull one side of the leather over the wooden support and staple in place using a staple gun. 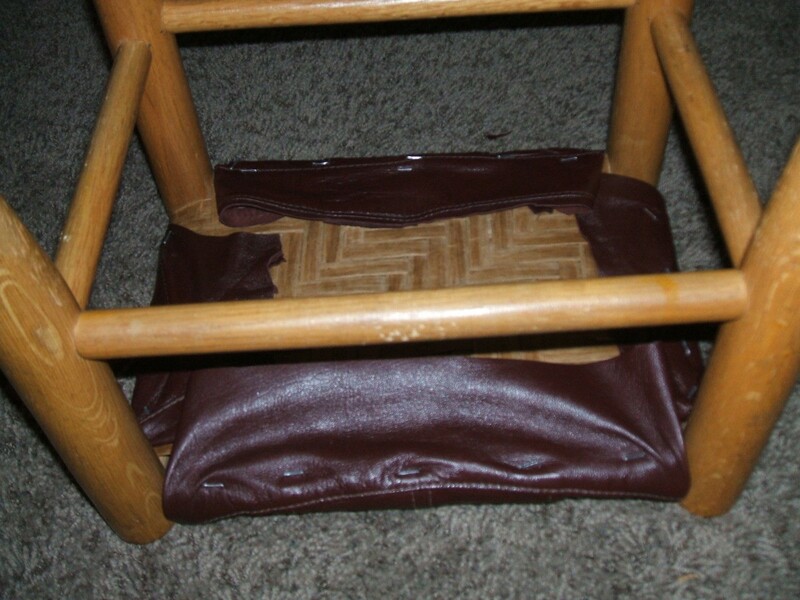 Flip the stool over, and turn the leather under around the top of the legs so that no raw edges can be seen. Do the same on the opposite side; then repeat on each end. Trim away any excess leather from the bottom. Next, measure the bottom of the stool and add about 1/2 inch to all four sides to turn under. Cut a piece of leather this size. Turn one side under 1/2 inch, and apply upholstery tacks along the edge. Repeat on other three sides. 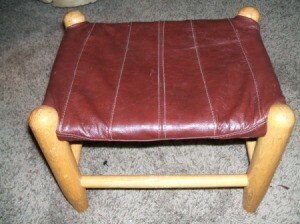 Here's a picture of an old stool that was refurbished using an old leather jacket.